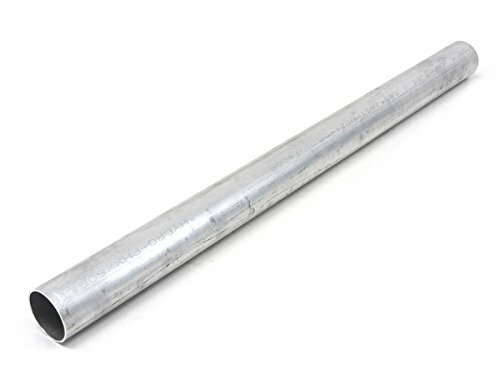 HPS (AST-100) 1" OD, 1 Foot Length, 6061 T6 Seamless 16 Gauge Aluminum Round Straight Tubing, 0.065" Wall Thickness is commonly used in industrial, automotive, marine and aerospace industry; Great for custom fabrication project such as DIY air intake, cooling systems, turbo intercooler piping setup because 6061 aluminum is the most popular and versatile alloy, and is the least expensive of the heat treatable aluminum alloys. HPS aluminum round tubing is sold in the T6 condition, ideal for sawing, machining, sanding, and polishing. The aluminum pipe can be polished, but due to the softness of the aluminum, care must be taken not to remove too much material, especially in the area near any welds. Remark: HPS does NOT recommend 6061 Aluminum to be used for exhaust systems. 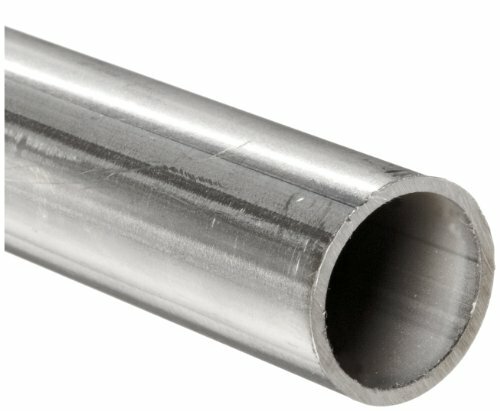 This 304/304L stainless steel dual-certified round tubing is suitable for transport of fluids and gases in food processing environments. The tubing is welded and drawn for a smoother bore than non-drawn welded tubing and a more consistent wall thickness than seamless tubing. It has greater corrosion resistance than 302 stainless steel and is annealed to restore formability for bending or flaring. 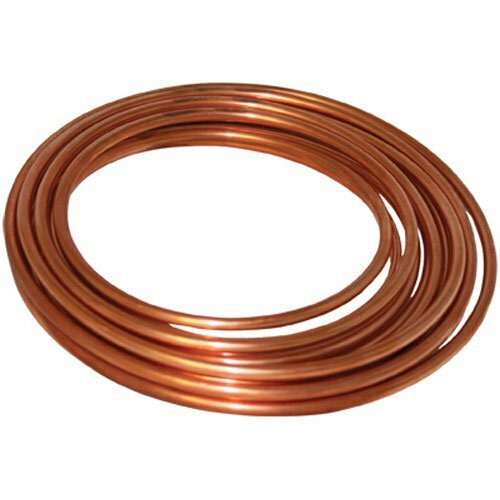 This welded and drawn round tubing meets American Society for Testing and Materials (ASTM) A269 specifications for quality assurance and is suitable for use in applications such as transporting beer, wine, and milk. Metal tubing, also called fractional tubing, is used to transfer liquids, air, or solids, and it is characterized by a round shape and a hollow center. Metal tubing is commonly made with various grades of austenitic stainless steel, aluminum, copper, brass, and titanium materials and their alloys. Construction types include seamless, welded, or welded and drawn. Seamless tubing has no seam or weld point, which enables it to better withstand high pressure and resist corrosion. Welded tubing, made by rolling and welding metal sheet stock, is weaker than and not as rounded as seamless tubing, but it has a more consistent wall thickness for tighter wall tolerances. 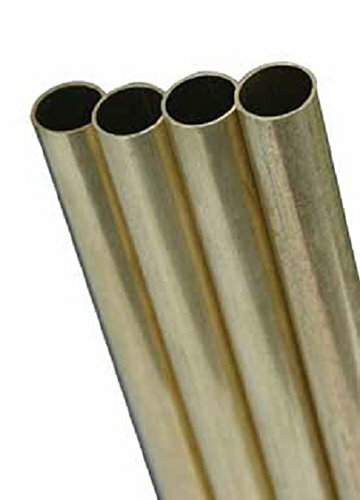 Welded and drawn tubing, also known as "drawn over mandrel" (DOM), is typically welded tubing that is drawn through a die and over a mandrel to create a smooth inner diameter, which gives the tubing comparable corrosion resistance to seamless tubing while still offering welded tubing's tighter wall tolerances. Compression, vacuum, sanitary, and flared fittings connect tubing or redirect flow in a fluid handling system. Metal tubing is used in HVAC and plumbing systems and for applications in the aerospace, automotive, chemical processing, food and beverage, manufacturing, and medical industries. 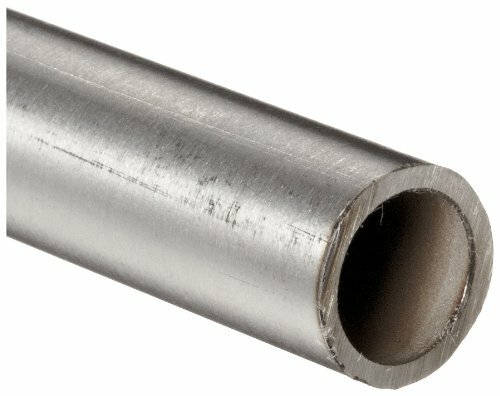 This 316/316L stainless steel dual-certified round tubing is suitable for transport of fluids and gases in chloride environments. The tubing is welded and drawn for a smoother bore than non-drawn welded tubing and a more consistent wall thickness than seamless tubing. It is alloyed with molybdenum and has higher resistance to pitting and crevice corrosion in chloride environments than 304 stainless steel. The tubing is annealed to restore formability for bending or flaring the tubing and has an operating temperature range of -325 to +1,500 degrees F. This welded and drawn round tubing meets American Society for Testing and Materials (ASTM) A269 specifications for quality assurance and is suitable for use in applications such as food and beverage preparation equipment in wash down environments. Used by craftsmen, machinists, hobbyists, and modelers for a variety of projects. 12" And 36" Lengths. Available in aluminum (ALUM), copper, brass, and stainless steel (SS). tubing sizes are listed by outside diameter (o.D.). The product is manufactured in United states. This 304L stainless steel round tubing is suitable for transport of fluids and gases in food processing environments. The tubing is seamless for a smoother interior flow and greater burst strength than welded tubing. It has greater corrosion resistance than 302 stainless steel and is annealed to restore formability for bending or flaring. This seamless round tubing meets American Society for Testing and Materials (ASTM) A269 specifications for quality assurance and is suitable for use in applications such as transporting beer, wine, and milk. 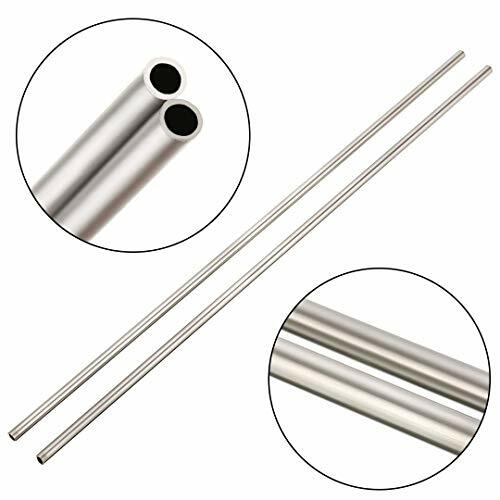 HPS (AST-138) 1-3/8" OD, 1 Foot Length, 6061 T6 Seamless 16 Gauge Aluminum Round Straight Tubing, 0.065" Wall Thickness is commonly used in industrial, automotive, marine and aerospace industry; Great for custom fabrication project such as DIY air intake, cooling systems, turbo intercooler piping setup because 6061 aluminum is the most popular and versatile alloy, and is the least expensive of the heat treatable aluminum alloys. HPS aluminum round tubing is sold in the T6 condition, ideal for sawing, machining, sanding, and polishing. The aluminum pipe can be polished, but due to the softness of the aluminum, care must be taken not to remove too much material, especially in the area near any welds. Remark: HPS does NOT recommend 6061 Aluminum to be used for exhaust systems. 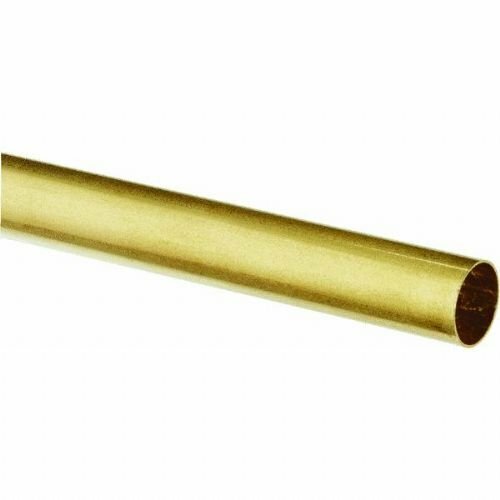 HPS (AJ300-150) 1.5" OD, 3" Length, 16 Gauge, 6061 T6 Aluminum Joiner Tubing with Bead Roll, 0.065" Wall Thickness is commonly used in industrial, automotive, marine and aerospace industry; Great for custom fabrication project such as DIY air intake, cooling systems, turbo intercooler piping setup because 6061 aluminum is the most popular and versatile alloy, and is the least expensive of the heat treatable aluminum alloys. HPS aluminum round tubing joiner is sold in the T6 condition, ideal for sawing, machining, sanding, and polishing. The aluminum joiner tube can be polished, but due to the softness of the aluminum, care must be taken not to remove too much material, especially in the area near any welds. Remark: HPS does NOT recommend 6061 Aluminum to be used for exhaust systems. 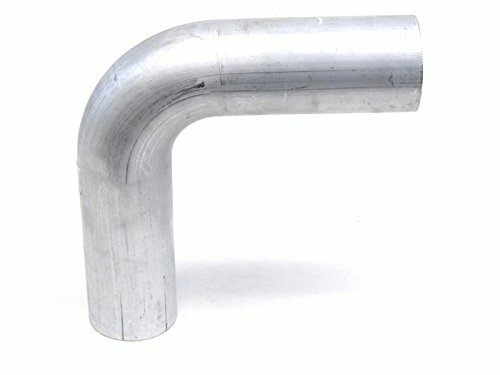 HPS (AST-3F-150) 1.5" OD, 3 Feet Length, 6061 T6 Seamless 16 Gauge Aluminum Round Straight Tubing, 0.065" Wall Thickness is commonly used in industrial, automotive, marine and aerospace industry; Great for custom fabrication project such as DIY air intake, cooling systems, turbo intercooler piping setup because 6061 aluminum is the most popular and versatile alloy, and is the least expensive of the heat treatable aluminum alloys. HPS aluminum round tubing is sold in the T6 condition, ideal for sawing, machining, sanding, and polishing. The aluminum pipe can be polished, but due to the softness of the aluminum, care must be taken not to remove too much material, especially in the area near any welds. Remark: HPS does NOT recommend 6061 Aluminum to be used for exhaust systems. 1/8" OD x 12" Length, Copper Tube. Corrosion and oxidation resistant, high temperature resistant. Has good hot and cold workability. Easy to be formed or welded with common tools. UNIQUE: corrosion and oxidation resistant, high temperature resistant. EFFECTIVE: easy to be formed or welded with common tools. APPLOICATION: used for production requirements of good comprehensive properties, resistance to corrosion and formability of equipment and parts. 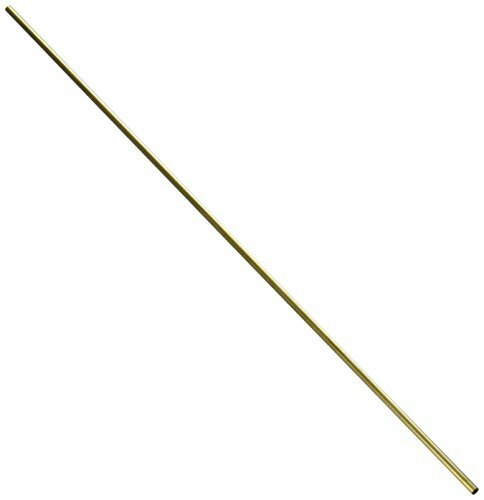 HPS (AST-3F-100) 1" OD, 3 Feet Length, 6061 T6 Seamless 16 Gauge Aluminum Round Straight Tubing, 0.065" Wall Thickness is commonly used in industrial, automotive, marine and aerospace industry; Great for custom fabrication project such as DIY air intake, cooling systems, turbo intercooler piping setup because 6061 aluminum is the most popular and versatile alloy, and is the least expensive of the heat treatable aluminum alloys. HPS aluminum round tubing is sold in the T6 condition, ideal for sawing, machining, sanding, and polishing. The aluminum pipe can be polished, but due to the softness of the aluminum, care must be taken not to remove too much material, especially in the area near any welds. Remark: HPS does NOT recommend 6061 Aluminum to be used for exhaust systems. 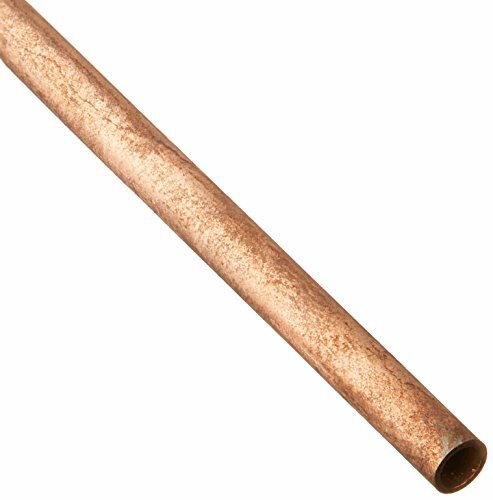 This sealed dehydrated copper refrigeration tubing has a 1/2 diameter. It s sold by the foot in multiples of 50 to accommodate orders of all sizes. Seamless. Extruded in the USA. 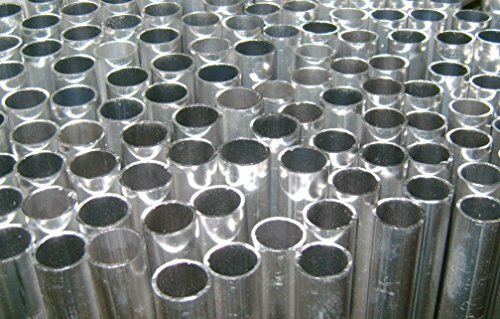 HPS (AST-3F-125) 1.25" OD, 3 Feet Length, 6061 T6 Seamless 16 Gauge Aluminum Round Straight Tubing, 0.065" Wall Thickness is commonly used in industrial, automotive, marine and aerospace industry; Great for custom fabrication project such as DIY air intake, cooling systems, turbo intercooler piping setup because 6061 aluminum is the most popular and versatile alloy, and is the least expensive of the heat treatable aluminum alloys. HPS aluminum round tubing is sold in the T6 condition, ideal for sawing, machining, sanding, and polishing. The aluminum pipe can be polished, but due to the softness of the aluminum, care must be taken not to remove too much material, especially in the area near any welds. Remark: HPS does NOT recommend 6061 Aluminum to be used for exhaust systems. 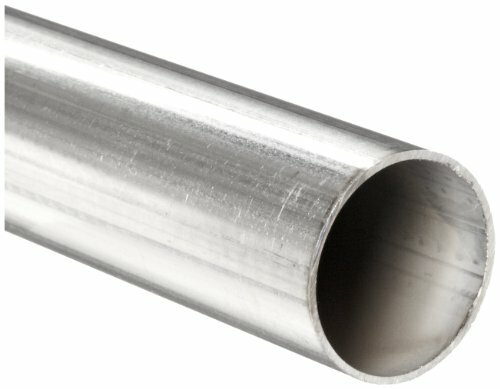 HPS (AT90-125-CLR-2), 1.25" OD, 90 Degree Bend, 16 Gauge 6061 T6 Aluminum Elbow Pipe Tubing, 0.065" Wall Thickness, 2" Center Line Radius is commonly used in industrial, automotive, marine and aerospace industry; Great for custom fabrication project such as DIY air intake, cooling systems, turbo intercooler piping setup because 6061 aluminum is the most popular and versatile alloy, and is the least expensive of the heat treatable aluminum alloys. HPS aluminum round tubing is sold in the T6 condition, ideal for sawing, machining, sanding, and polishing. The aluminum pipe can be polished, but due to the softness of the aluminum, care must be taken not to remove too much material, especially in the area near any welds. 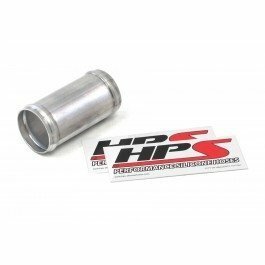 Remark: HPS does NOT recommend 6061 Aluminum to be used for exhaust systems. Material: 16 Gauge 6061-T6 aluminum. Wall Thickness: 0.065"